So last February, I was working on tour in Italy for three months and experienced some really lovely cities and met some wonderful people. One of those people was my good friend Alice who I was working alongside. Last September, we decided to return to Marotta, a place we had worked together, to visit our old host families and to take a little break away from London. 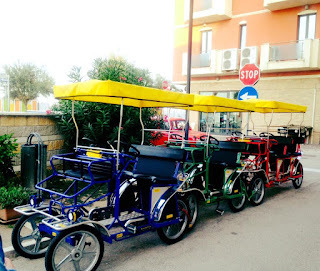 Marotta isn’t one of the places that initially springs to mind when you think of Italy, which is why I want to do a “Spotlight on” this quirky, coastal town. Flights to Marotta are very inexpensive. With Ryanair flying directly to Marotta airport, and things to do all year round, there is no excuse not to visit Marotta! 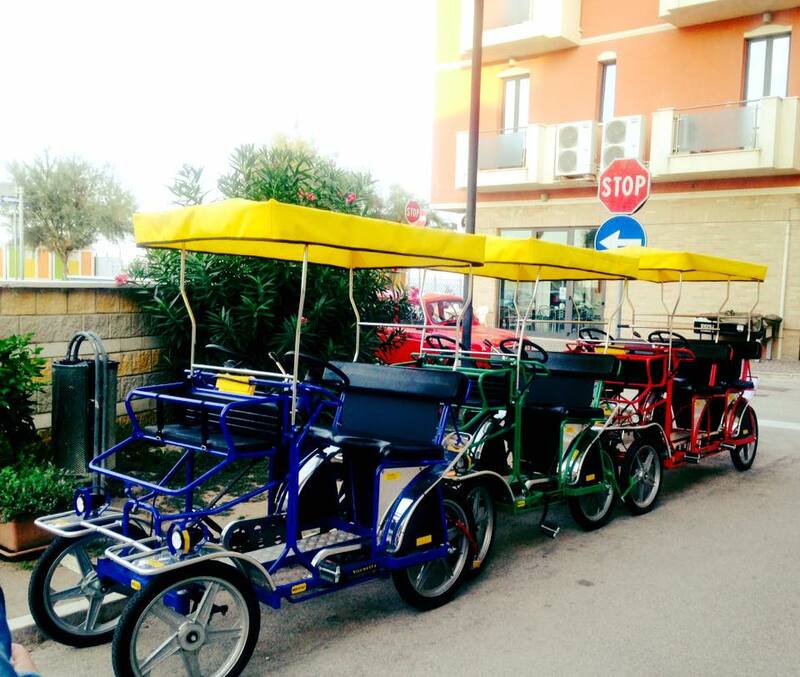 With that said, here is a round up of things to do in Marotta-Mondolfo, Italy! The town is parallel to a long beach that stretches for a few miles. Where Alice and I stayed, we were just a short walk from the beach. 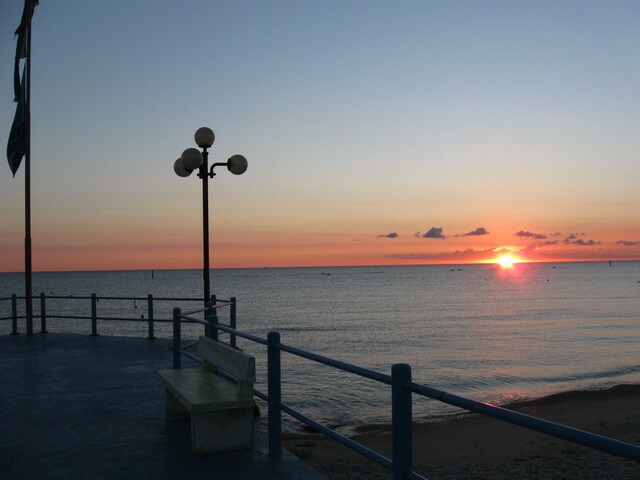 In fact, the train station is about 30 metres from the beach! The beach itself is extremely long and not very wide (so the sea is fairly close). It is a sand beach, so perfect for long walks, sunbathing, or playing a game or two. In September, the weather was still hot enough to be in t-shirts and shorts, with the best “beach-time” being mid day. We even had a swim in the sea! Just a short walk from the station, I came across a hotel that was renting out these pedal cars. I loved the idea of renting one with Alice and driving along the beach so we had a look at prices. As September is technically “off-season” (even though the weather is great, it is a really quiet time of year) the prices to rent the rickshaws were really low! It was €5 for an hour’s ride! Neither myself, nor Alice drives, but that didn’t matter! We were able to take our new toy out for a little cruise along the strip, right with the cars and everything! We felt so grown up! It was a really fun experience that we loved so much we even went back and purchased another hour! You do have to be very careful as you are pedalling alongside cars and pedestrians so a little knowledge on road safety goes a long way. Also, don’t do what we did and accidentally end up on a motorway slip road :/ oops! Our host Nicole and her boyfriend Andrea were really kind to take us to this amazing Corn Labyrinth experience just outside of town. 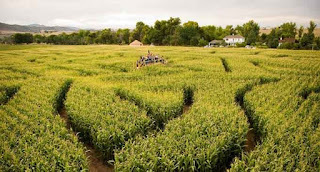 It is basically a huge corn field (with corn twice your height) that has had paths cut out of it to create a maze (think Harry Potter and the Goblet of Fire when RPatz dies type thing- without Voldemort, obvs). The Labyrinth costs just a few Euros to enter, then you are left to find your way out! We went in the evening when it was completely dark, which gave it a scary feel, however if you are more inclined to a ‘sunshine and daisies’ experience, you should check it out during the day. 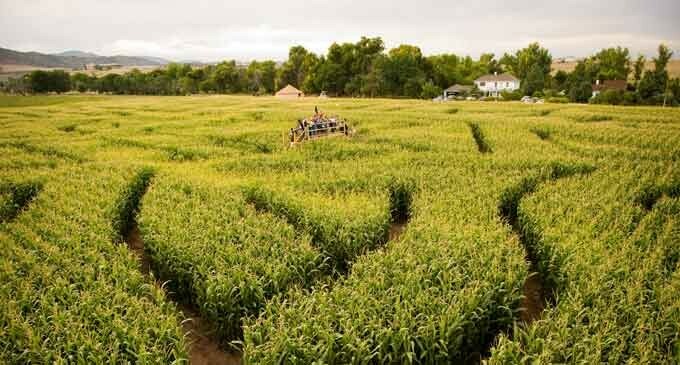 The maze is not easy to navigate at all (which is great as you want to be challenged). There are lots of “left or right?” decisions and I think a group of four of us was perfect. It took us just over an hour to complete, which I felt was just right. Tip: If you are a horror fan or like scary attractions, this Labyrinth did have a themed night the next day with actors hidden around corners to jump out and scare! I couldn’t recommend this restaurant enough! I have been twice now and they are always so welcoming. 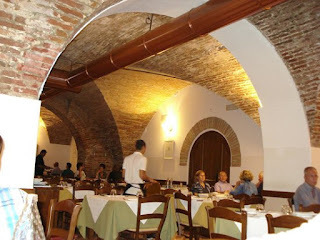 The restaurant itself is really traditional of all the proper Italian, family run, no tourist to be seen restaurants. The host is so funny and speaks perfect English. He always makes us laugh. Tip: This restaurant serve some wonderful desserts, so make sure you leave some belly room! Here is a Link. · Travel – If you have no reservations about travelling with Ryanair, I would suggest booking with them for a short stay as they fly directly to Marotta airport. You can fit a week’s worth of things into your free carry on and it is only a short couple of hours on the plane. Ryanair fly from Stanstead airport which is super easy to get to from London via train, taxi, coach or the “Easybus” which I usually use for a low cost journey. A great thing about Easybus, is your ticket is valid for the trip directly before and after your booked trip (as long as there is a space for you). So if you are running a little early or late, they will still let you on. · Self Catering Tips - My tip for anyone staying in a self catering place like we were, would be to stop off at the large Conard supermarket on the way from the airport, or take a short walk to the Lidl which is on the same main road as the train station. It is a large Lidl with everything you could need from food to toiletries. · When to Stay? – As I said before, I arrived in September for the short break, and before that I was staying in March; both off-season. Although it was really quiet in September, the weather (for a Brit) was more than satisfactory. It was sunny with a light breeze most of the time, and the beach was always really quiet. The flights are also significantly cheaper, as well as better accommodation options. If you want guaranteed burning-hot sun, I guess I would suggest a summer stay. · Visiting Nearby Cities- Italy have a great train system and it can be really affordable to visit nearby towns and cities. Check www.trenitalia.com to see where you can go. I hope you enjoyed this post and feel inspired to check out beautiful Marotta Mondolfo! Click here for more Travel posts, including a full Northern Italy Sum-up. I loooove Italy and would really love to go back. Have been to Venice and Milan but never Marotta - it looks wonderful! Get me on a plane!! !